For every start-up or expanding a business, capital is considered as the basic requirement to proceed. 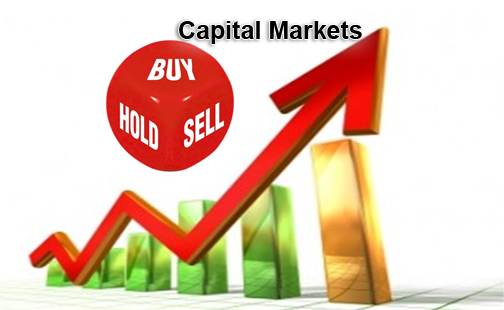 There are so many ways through which you can raise capital. Mostly entrepreneurs use all their saving to invest in their small businesses, which shows the level of interest and commitment towards their business to the investors and somehow it motivates the investors to invest in their business. If you have the perfect business plan, skilled people but without capital, you can never turn your dreams into reality. Suppose if you don’t have any savings to invest how you will raise the capital for your business? Angel investors are those who are interested in getting equity ownership it could be your banker, attorney, compatible individual or any individual who is looking out for new opportunities to invest their money. Unlike private investors who are less interested your business and more/only interested in earning money by using their capital. Angel investors will not only help you in raising the capital they also help you improve your business plan if you’re a starter. All they demand is to get high returns on their investment form the business. The credit card is something like a minute level loan you can use the money to fund your business in case of risky situations and pay back within the given limit by the bank. Credit cards should be handled quite responsibly by making payments on timing, and this will help you get more extension on your payment limit by the bank. But not paying on time can result in a serious problem for you and your business. When you’re left with no other choice to raise capital for your business, Banks are the only option left to go and apply for a small business loan. (For additional information, check this out.) When you apply for the loan in a bank, you have to go through a pile of documentation, legit paperwork and a process of inquires related to your previous bank account histories. Every bank has different terms and conditions of offering loans to the customers usually there are two main types of loan known as “Secured loan” or “unsecured loans.” Which mean either you want to pledge your assets, or you want to pay less interest rate? By going public with your company, you can raise capital for your business, but it is one of the mostrisky options. As going public comes with its pro and cons like you get the capital you needed to expand or operate your business but you lose ownership control you won’t be the only owner running the company. Once you go public your business is bound to follow the legal terms and conditions for the companies who go public. You should go to a lawyer to discuss in detail before going public. Another option for raising capital for your business is to go to venture capital firms with related business goals and standards as your business. All you need to do is to prove them that your business is running smoothly and it has the potential to generate a higher return on their investments. Through your presentation make them look into the predicted future of your company and explain your predicted risk management plans like a pro. Venture capitals only invest in running the business with people of broader vision. People usually try not to get funding for their businesses from their family and friend because of the fear of messing up the relationship with them in case of any mishap or shortfall. But still, it is considered as the best option. When asking for investment try to do it professionally and make them feel like investors more and less like family or friends. Everything related to investment all the terms and condition on which you and your investor have agreed upon should be legally documented to make it legit and to avoid any future conflicts.